This command enables frame-relay inverse-arp. 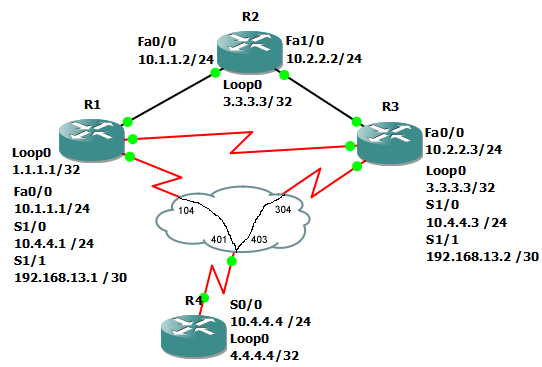 Frame-relay uses inverse-map to dynamically learn remote IP addresses and its local DLCIs. In this example we will configure R4 to use frame-relay. Next, we will configure R1 to use frame-relay. After, we do the same to R3. Now we use show frame-relay mapping to verify that R4 has learned about the other links via inverse-arp. We also check to see that we can ping.